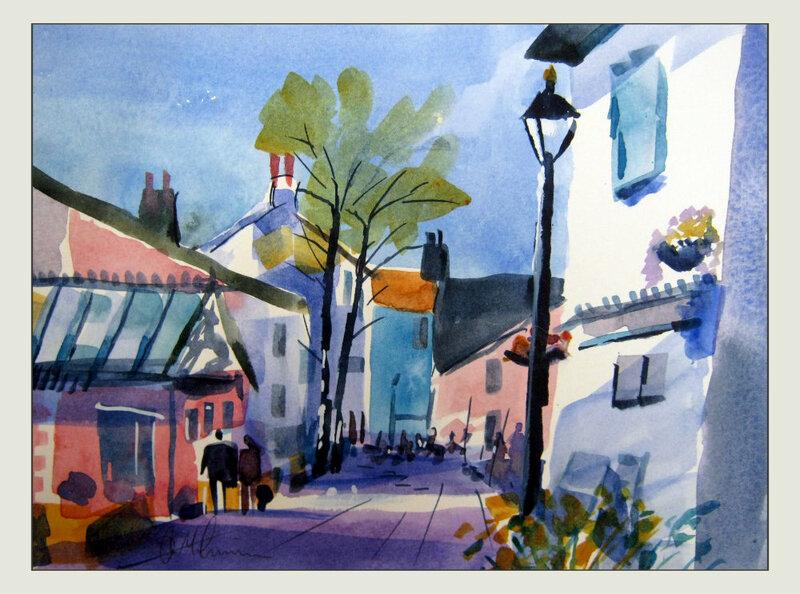 This is a little side street of shops in Keswick in the Lake District. Watercolor 10 x 7". Again using square brushes, no preliminary drawing just an attempt to keep it fresh.